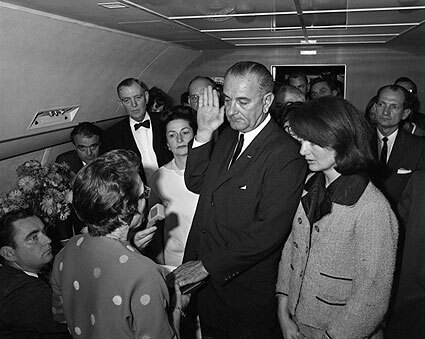 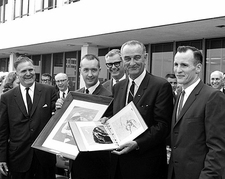 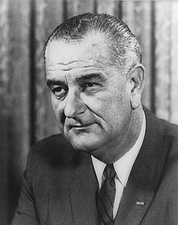 Photo of Lyndon Baines Johnson being sworn in as the 36th President of the U.S. aboard Air Force One. Also pictured are Lady Bird Johnson and Jacqueline Kennedy. 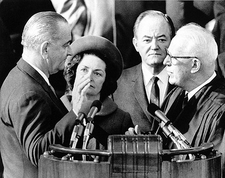 White House photographer Cecil Stoughton was the only photographer present for swearing in.